Fragranced with the lovely sweet smell of pear. 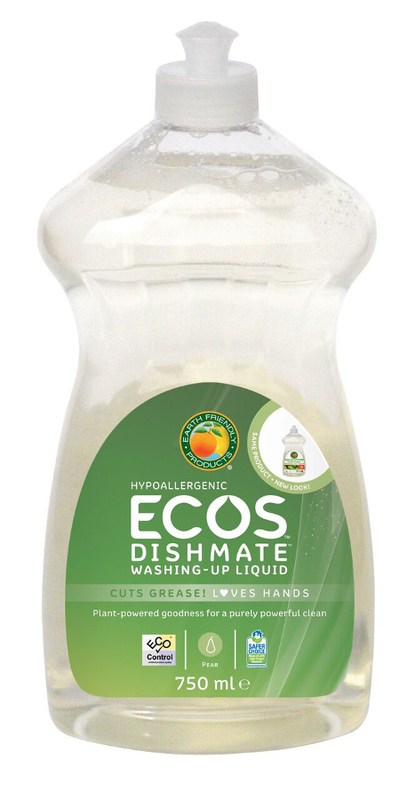 This eco-friendly washing up liquid from Earth Friendly is made from GM-free plant ingredients; it has an ultra-concentrated formulation that is effective against grease and grime. The chemical free formula means that it is also mild on sensitive skin and acts as a moisturiser on your hands too! 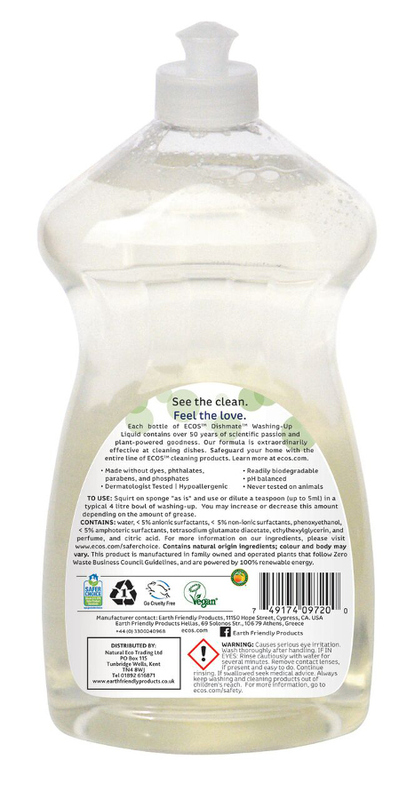 It is vegan and PETA approved (People for the Ethical treatment of Animals) and only a small amount would need to be used as the highly concentrated blend offers great value for money. Only half a teaspoon needed for a bowel of washing up. 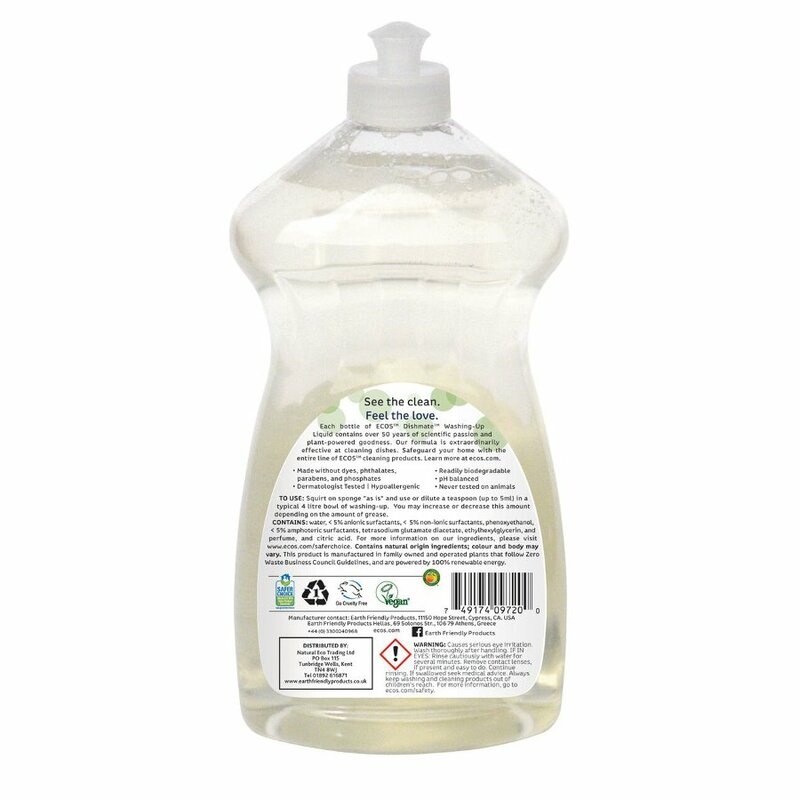 water, < 5% anionic surfactants, < 5% non-ionic surfactants, phenoxyethanol, < 5% amphoteric surfactants, tetrasodium glutamate diacetate, ethylhexylglycerin, and perfume, and citric acid. 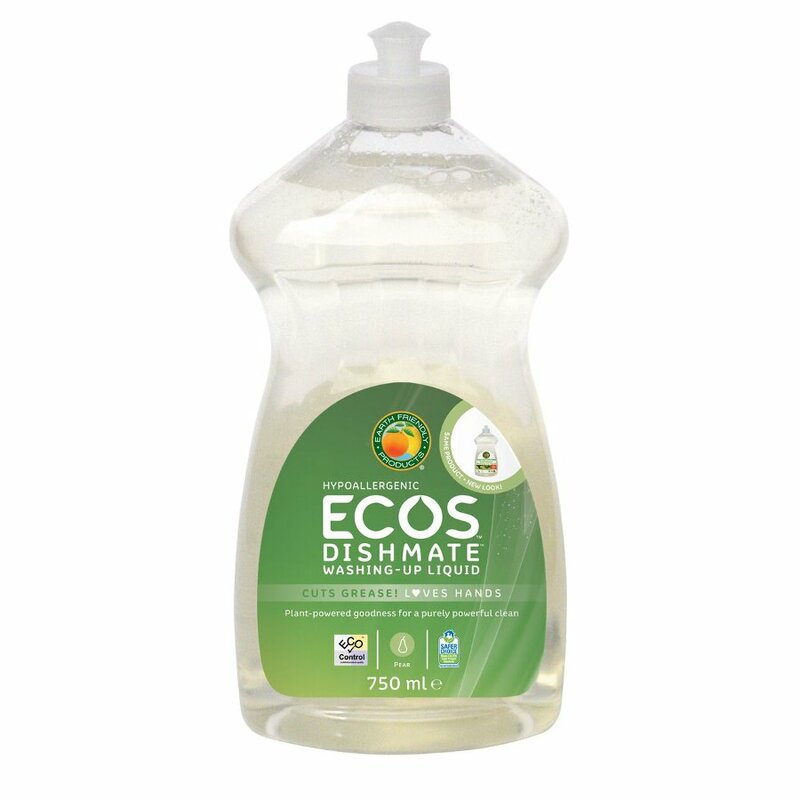 There are currently no questions to display about ECOS Dishmate Washing up Liquid - Pear - 750ml.